I’ve been whining for months about wanting a good book to read; a book “that would grab me by the hairs of my heart.” Thanks to my very good friend, Elle, I finally got it. 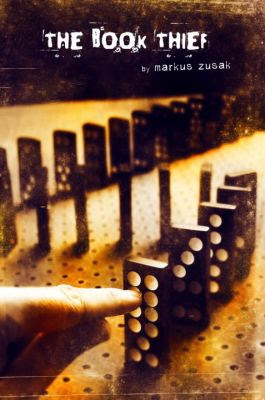 The Book Thief, by Markus Zusak. But it’s not the story that makes this novel ‘unforgettable,’ it’s the characters. They will move and inspire you. They will make you laugh. They will break your heart. After spending the past several days wrapped up in Mr. Zusak’s words, my own seem so cheap, and the only three I can think of are these: Read this book. Okay. If it’s that good I really will. It’s better than that. The Book Thief is better than any review of it could possibly be. I have yet to find anyone who has read it that hasn’t been affected deeply by it.